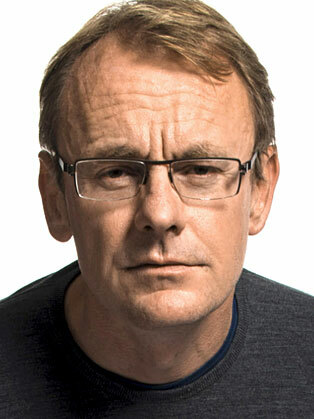 Sean Lock is an English comedian and actor. Sean Lock began his comedy career as a stand-up comedian, and won the British Comedy Award in 2000 in the category of Best Live Comic, and was nominated for the Perrier Comedy Award. His first television exposure was thanks to the double-act, who employed the labourer-turned-stand-up on Newman and Baddiel in Pieces. He then worked with Bill Bailey, script editing the funnyman's BBC Two series Is It Bill Bailey?, while also helming his own radio show, 15 Minutes of Misery. The latter inspired perhaps his most lauded creation to date, 15 Storeys High, which debuted on BBC Radio Four, before transferring to BBC Two for two critically acclaimed series. In the meantime, he'd picked up a British Comedy Award in 2000 for best live stand-up, and then went on to notch up regular appearances on the Channel 4 panel show 8 Out of 10 Cats. In 2006, he was awarded his own Channel 4 series, TV Heaven, Telly Hell. Lock was voted the 55th greatest stand-up comic on Channel 4's 100 Greatest Stand-Ups in 2007 and again in the updated 2010 list as the 19th greatest stand-up comic.